LUSAKA, ZAMBIA – Zambeef Products’ new Kitwe Processing Plant is set to decentralise some of the food retailer’s operations and logistics from its base at Huntley Farm in Chisamba in a move to streamline operations, and improve efficiencies and economies of scale in serving the Northern parts of the country. “The market for Zambeef products is growing and so is the company. We aim to give added value to our customers with the one-stop shop concept in the form of our macro outlets – which have been well received. But beyond the shopfront we are investing heavily in the processes, the machinery and the facilities that will ultimately enhance the customer experience and value offered by Zambeef,” said Zambeef Head of Corporate Affairs and General Manager Retailing Felix Lupindula. The plant, on Government Road in Chimwemwe’s industrial area, features state-of-the-art facilities including a weighbridge, high-capacity cold-rooms, and a bigger storage and workers’ canteen in a strategic move to mitigate the challenges of cold storage, office space, processing space, parking, and supply chain management for the North that have come about as a result of the company’s growth. 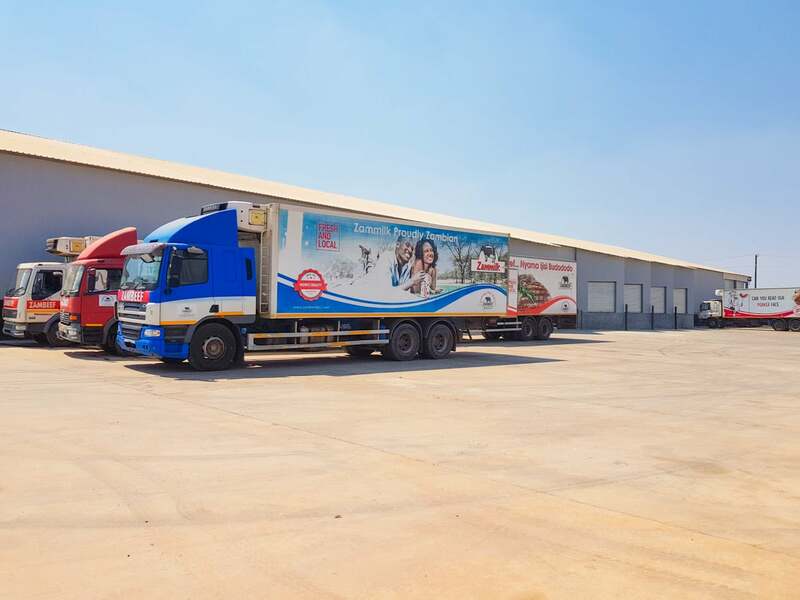 Zambeef’s retail activity in the North has expanded with the opening of Kasumbalesa, Solwezi, Kasama, Wusakile, Ndola City Centre (NCC), Nkana East and Mansa Macros, necessitating the realigned of supply management to the region. “Our goal is to continue providing our customers with affordable, accessible, available and quality products that can rival any other product on the market locally or otherwise. The plant employs a first in, first out (FIFO) method together with other quality management practices to ensure consistent and efficient product and service delivery,” said Mr Lupindula. In addition, Zambeef’s signature macro store, consisting of butchery, Novatek Animal Feed and Zamhatch sales outlets at the front of the plant offers Zambeef’s portfolio of products ranging from meat and dairy to Novatek animal feed and even leather products such as Zamshu school and sports shoes, as well as industrial footwear and protective clothing, – an added advantage for mining and manufacturing companies on the Copperbelt and North-Western Province. The Kitwe Processing macro outlet was the first on the Copperbelt serving the surrounding areas of Mindolo, Buchi, Chimwemwe, Race Course, Garneton, Bulangililo, Kwachca and Riverside. While Huntley Farm remains the company’s base operational and distribution centre, the new Kitwe Processing Plant will make for easier service at a decentralised level for all the inter-town retail centres from a strategic regional location. Decentralising operations: Zambeef’s Kitwe Processing Plant. Zambeef Products Plc is the largest integrated cold chain food products and agribusiness company in Zambia and one of the largest in the region, involved in the primary production, processing, distribution and retailing of beef, chicken, pork, milk, eggs, dairy products, fish, flour and stockfeed, throughout Zambia and the surrounding region, as well as Nigeria and Ghana. It has 206 retail outlets throughout Zambia and West Africa. The company is one of the largest suppliers of beef in Zambia. Five beef abattoirs and three feedlots located throughout Zambia, with a capacity to slaughter 100,000 cattle a year. Zambeef produced 18.1 million kgs of beef in 2018.It is also one of the largest chicken and egg producers in Zambia, producing 16.9 million day-old chicks a year and processing 12.8 million kgs of chickens in 2018. It is one of the largest piggeries, pig abattoirs and pork processing plants in Zambia, with 9.9 million kgs produced during the year, while its dairy processes around 19.3 million litres of milk a year. The Group is also one of the largest cereal row cropping operations in Zambia, with approximately 7,787 hectares of row crops under irrigation which are planted twice a year, and a further 8,694 hectares of rainfed/dry-land crops available for planting each year. Zambeef employs 7,555 people with a total of K420.8 million paid in remuneration and benefits in the last year.